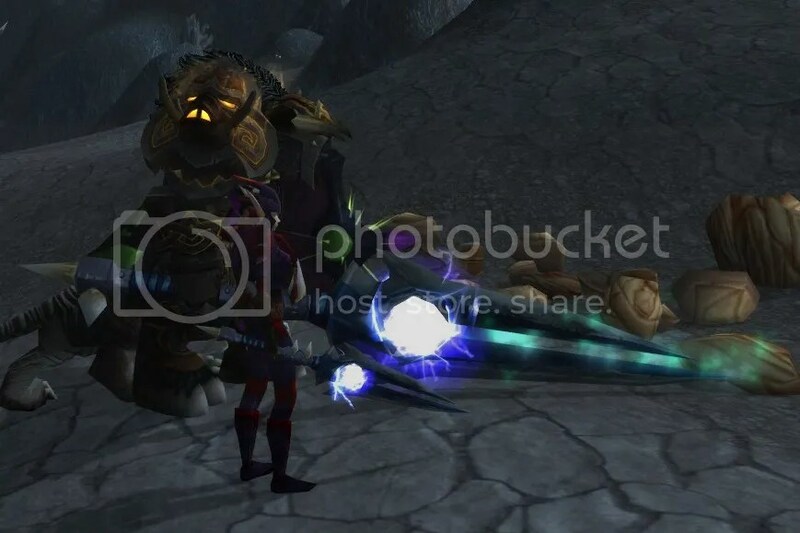 Looking through some of my older screenshots, I found another one to show – here I am on my bloodelf hunter with my oldest WoW friend just after I finally got my Thunderfury as well, a while after helping him to get his legendary, so we compared the size.. This entry was posted on Wednesday, July 24th, 2013 at 18:50	and tagged with Legendary, Thunderfury, world of warcraft, WoW and posted in Screenshots, Stuff, World of Warcraft. You can follow any responses to this entry through the RSS 2.0 feed. « Beware of the fabulousness!